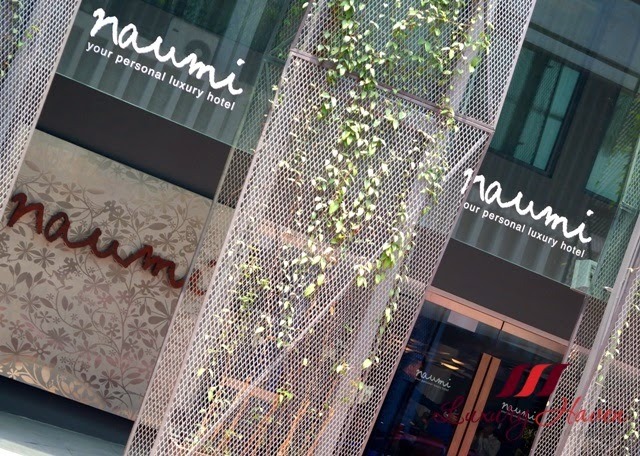 You are here:Home » Promotion / Events » Luxury Staycation At Naumi Hotel Singapore + Special Promo! 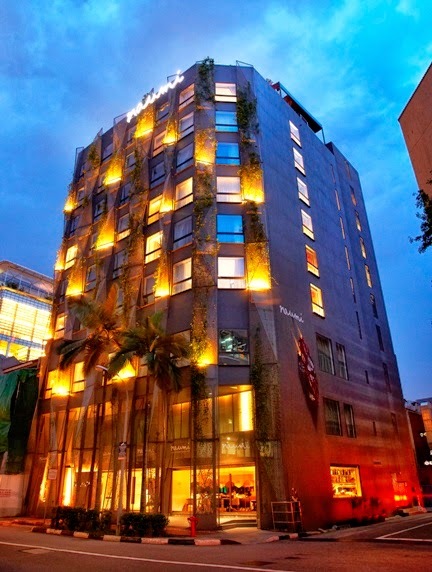 Voted "Best Small Luxury Hotel" Singapore by CNBC, "Travellers' Choice" by TripAdvisor 2013, and "Top 3 Best Boutique Hotels in Asia-Pacific 2011" by Business Traveller Asia-Pacific; these are just some of the accolades of #Naumi Hotel Singapore. 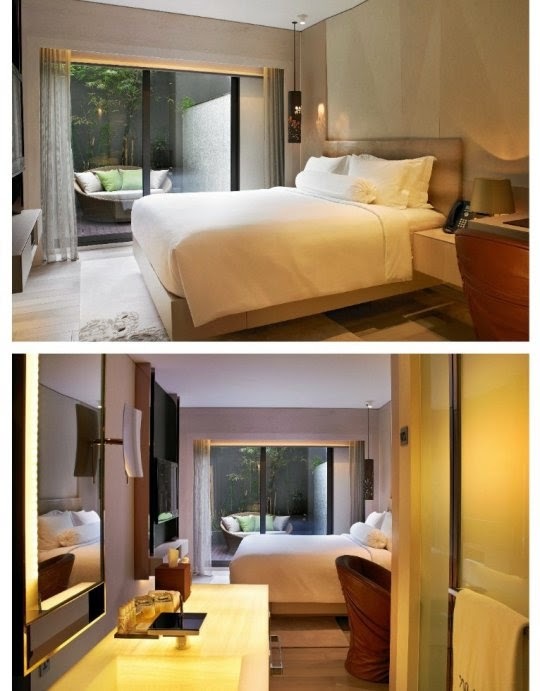 A short saunter away from a host of art, shopping, dining, and entertainment spaces, nestled a luxury boutique hotel set in the heart of Singapore’s Central Business District. 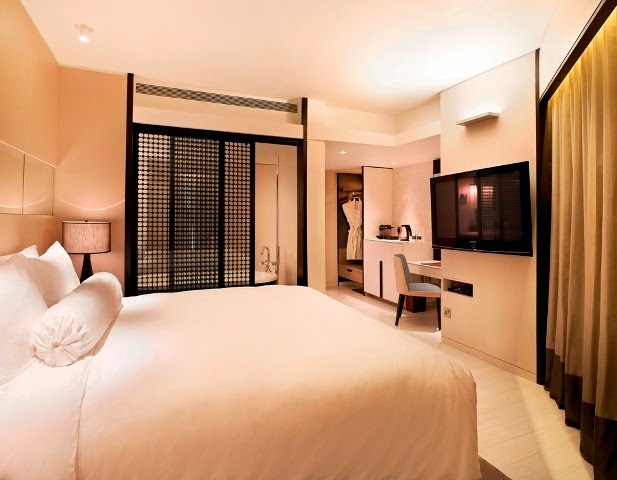 Tastefully furnished with 73 elegantly-appointed rooms to cocoon you in comfort is Naumi Hotel, a Singapore partner of Small Luxury Hotels. 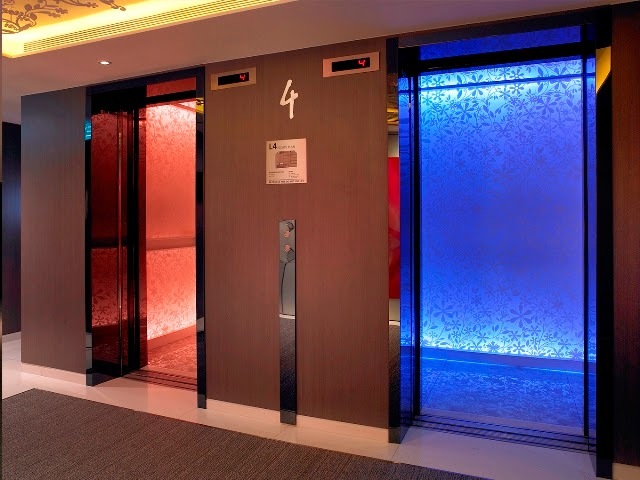 Funky chic elevators with changing lights. Impressive collection of art pieces embellished the walls of the hotel on every level. The artwork changes its looks as you move! 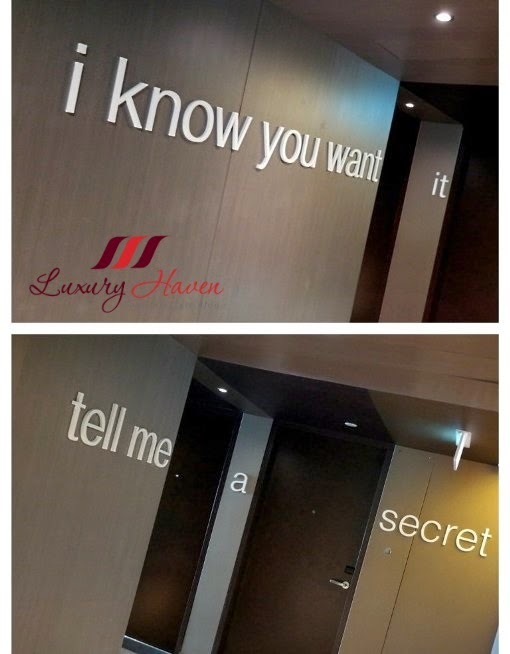 Attention-grabbing phrases throughout the hotel. Be awed by their designer-inspired rooms like the exclusive Coco Chanel and Andy Warhol inspired rooms decked with designer furnishings! It's a pity these designer-inspired rooms were fully booked over the weekends; Naumi could only host us in their next available room, the Oasis. The stylish sound-proofed guest room by a Parisian acoustic expert ensures a great night’s rest, and also boasts a luxuriously fitted seven-layer bedding in 400 thread-count Egyptian Cotton. 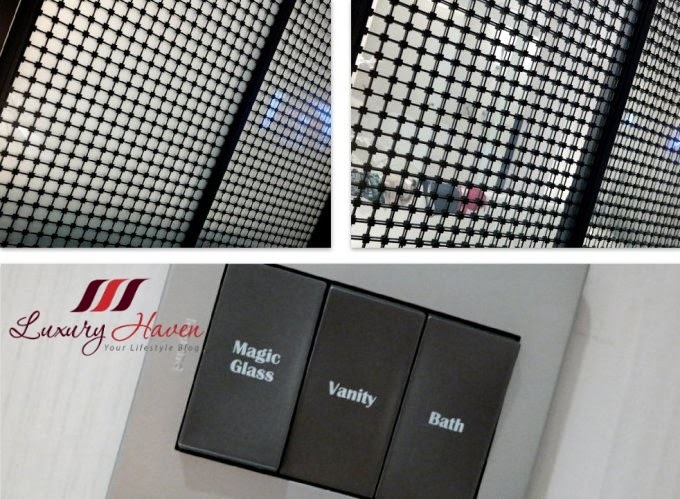 To give you control of your privacy, some rooms like ours, also feature magic glass panels in the bathroom that go from transparent to opaque at the touch of a button to ensure privacy. For photography purposes, I'd lined out our swim suits for a clearer picture. See the difference with the magic glass? Their luxurious bathroom complete with premium bath amenities from organic New York brand Malin + Goetz. 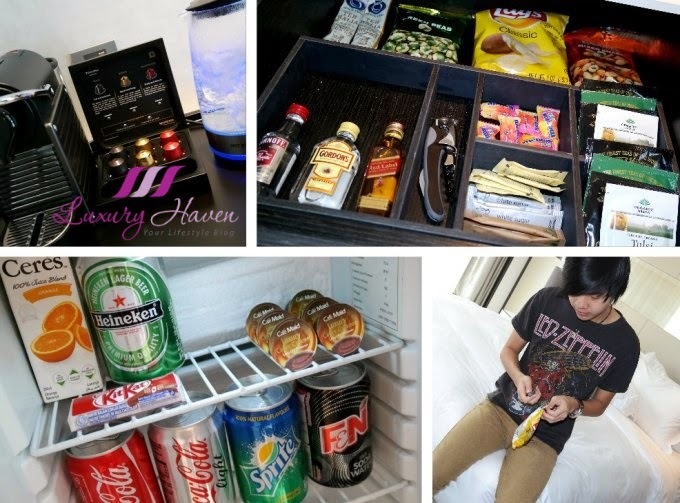 I was also amazed by their complimentary mini bar fully stocked with snacks, drinks including liquors and beer! 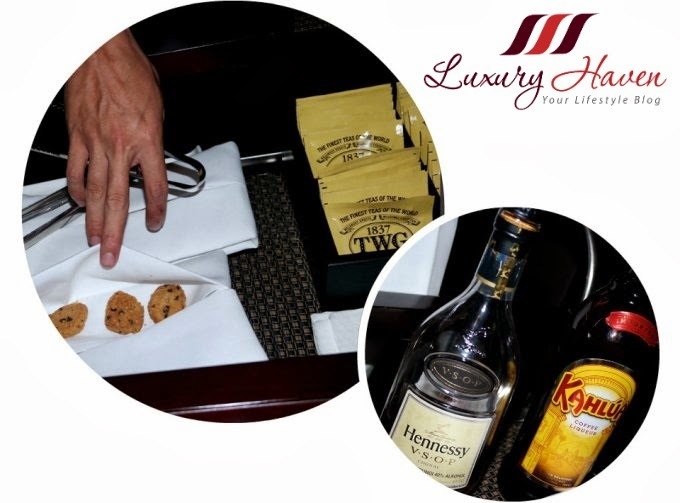 The mini bar is replenished on a daily basis except the liquors and beer. Jonathan was certainly quick in grabbing that packet of Lays Potato Chips! 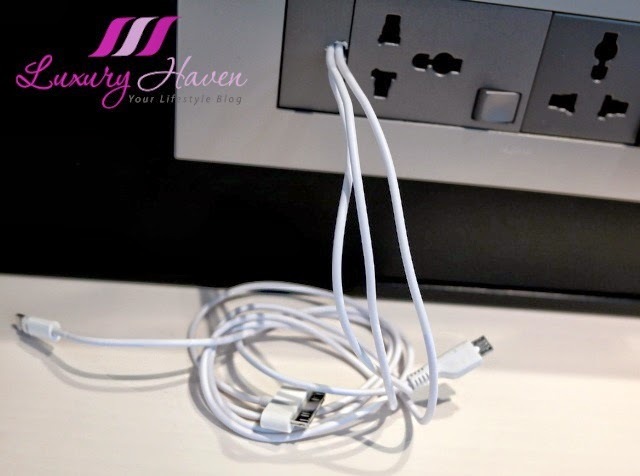 Highlights in their guest rooms include built in phone chargers for Apple devices, Blackberry and Samsung phones in their rooms. Check out the hotel's turn-down service, with Naumi Angels visiting every room to offer complimentary drinks to guests! Time for a soak! 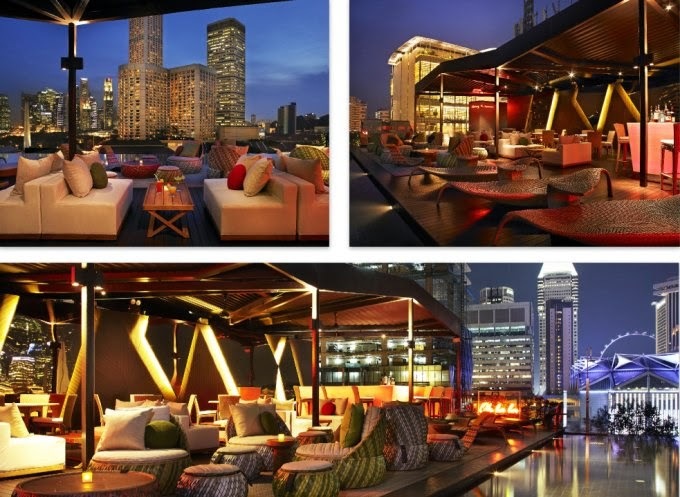 Swim amongst skyscrapers at their Cloud 9 rooftop infinity pool, offering spectacular views of the Singapore skyline. It was Jonathan's belated 19th Birthday. Thanks to Naumi Hotel for hosting my family, we had a wonderful weekend staycation at the Singapore’s best kept sanctuary! 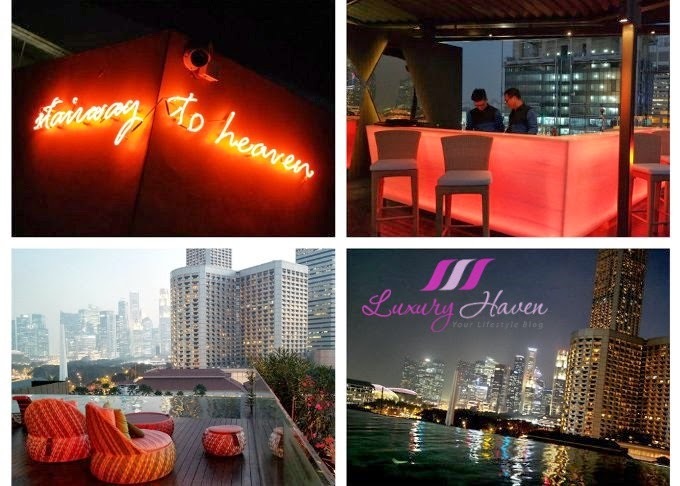 It's Stairway to Heaven at Cloud 9, with magnificent panoramic views in the evening too! Other than the 24/7 infinity pool, the hotel's 3 gyms dedicated to cardio and weights are also open 24 hrs. Table by Rang Mahal, the hotel’s new all-day dining restaurant extends a holistic dining experience that Rang Mahal Restaurants is best known for. 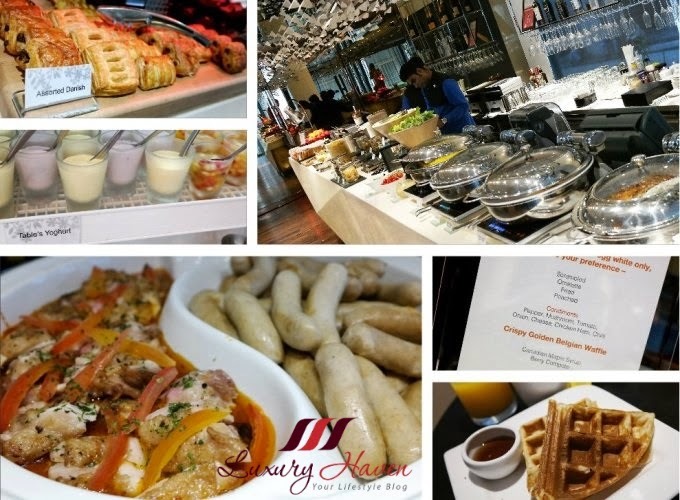 Breakfast highlights also include fresh fruit and vegetable juice shots with beauty benefits such as collagen! I was advised to mix the Liquid Iron Shots with a glass of fresh orange juice! 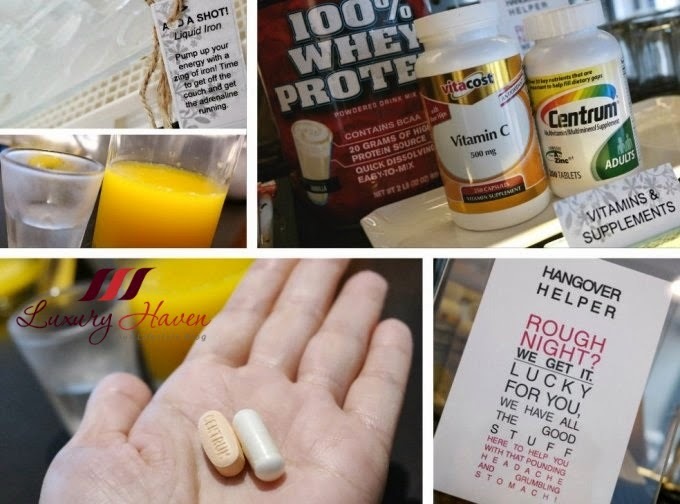 Oh, don't forget to take your daily dose of health supplements at their breakfast counter! Now that’s what I call, "Service with style!" After breakfast the next day, we took a train down to Marina Bayfront and visited Gardens By The Bay. Not only is the hotel comfortable and a luxurious hideout, it's just a stone’s throw away from the City Hall MRT Station. 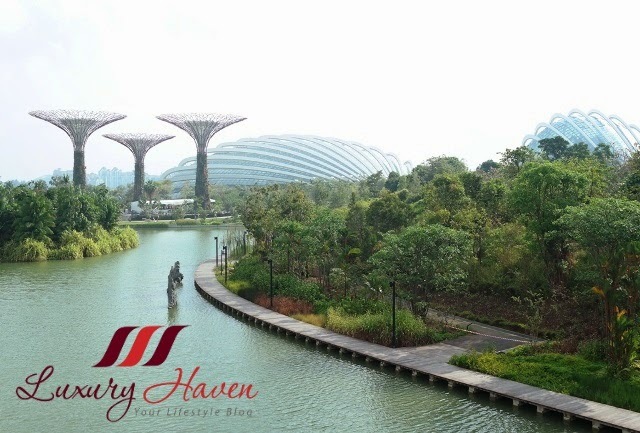 Read about our adventure at Gardens By The Bay Supertree Grove Flowers Trail! Escape to tranquillity in the heart of the city, and have a Rest and Relax Weekend at Naumi Hotel! Room rates start from SGD 350 for a Habitat Single Room. 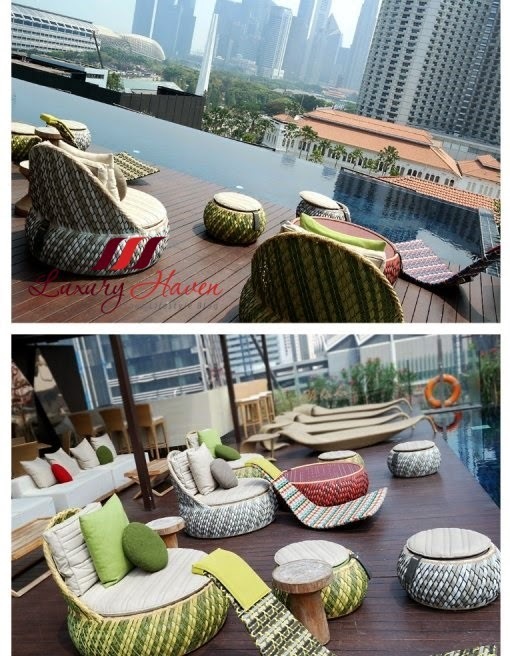 Special Promo: Quote "Luxury Haven" to get a 10% discount upon booking! * Not valid with other promotions and discounts. Having a celebration coming up soon? Party at Naumi's Patio! Sitting at the pinnacle of luxury, the Patio boasts of a private deck perfect for unwinding over a glass of champagne or two. 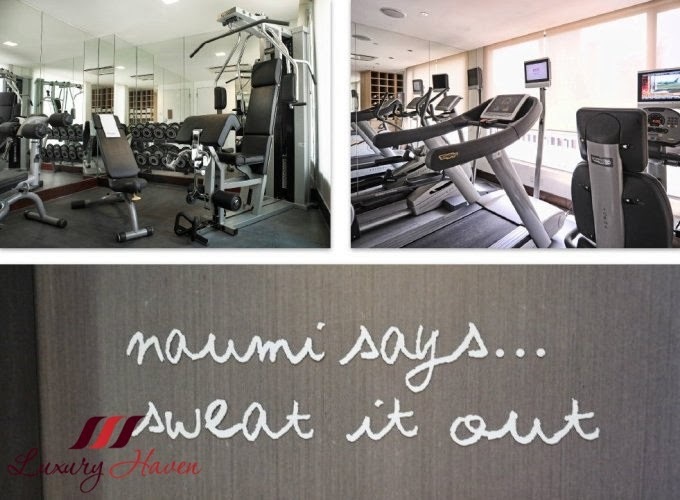 Let Naumi take care of the planning for you as you strip away your inhibitions. 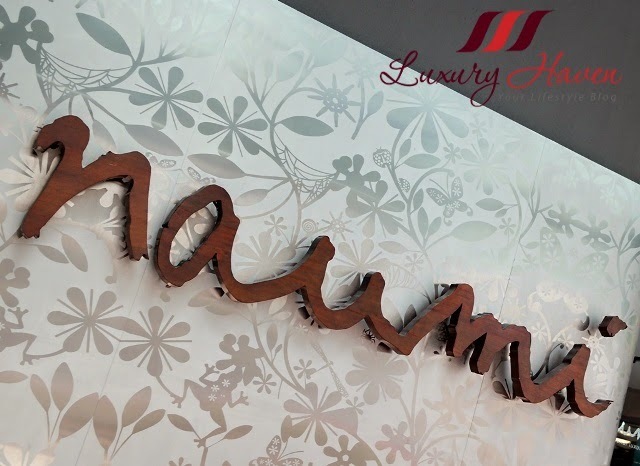 Guests can expect to experience a warm sanctuary of comfort with the quintessential Naumi service. Please call +65 6403 6000 or email reservations@naumihotels.com for reservations. 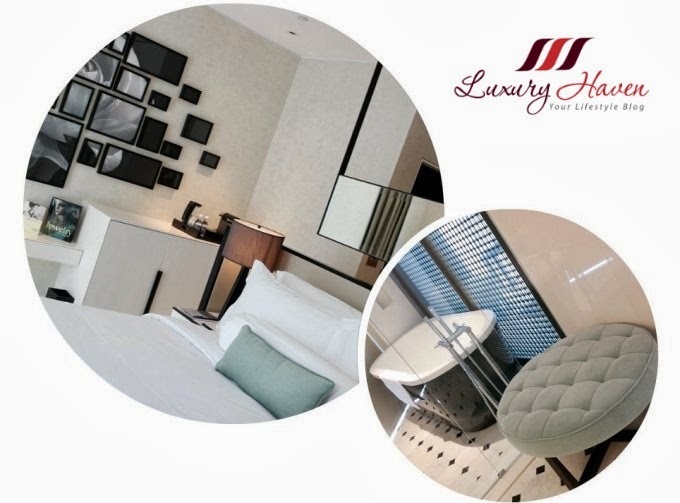 Don't forget to quote "Luxury Haven" to get a 10% discount upon booking! wow!! What a stay!! The hotel just looks so comfy and awesome! Wow, really a relaxing staycation in Singapore! SD, it was another awesome bonding session with family! Awesome! I've heard about this hotel, love the pool and what a great service by them. Ken, cool! Hope you'll get the chance to check out this place when you visit SG. Simply fabulous, what more coincides with your son's birthday. Juliet, thanks & have a good weekend! Wow your stayvacation looks awesome I need a vacation badly. Enjoy your weekend doll. the place look so gorgeous. Happy weekend! Kenny, thanks for coming by! Checking out your blog & following you now! Such a lovely spot for a staycation! We're on board waiting to fly back home and I sure wish it was just a quick drive. Happy weekend! Liz, looks like both of us had a great break! Wow! What a grand staycation! I'd love to stay there too for the services it offers. Lina, be sure to check it out! Uru, indeed! We had fun! Envy~ Looking forward to your post about Gardens By The Bay? Simon, thanks & have a wonderful week ahead! Louise, the vitamin bar is absolutely out of this world! Love it! So nice.. I also wanna stay here.. I love this hotel with its beautiful rooms and splendid view. The best part is their 24/7 pool and gyms which is unheard of ~ I LIKE!! Subha, thanks so much for your lovely note! 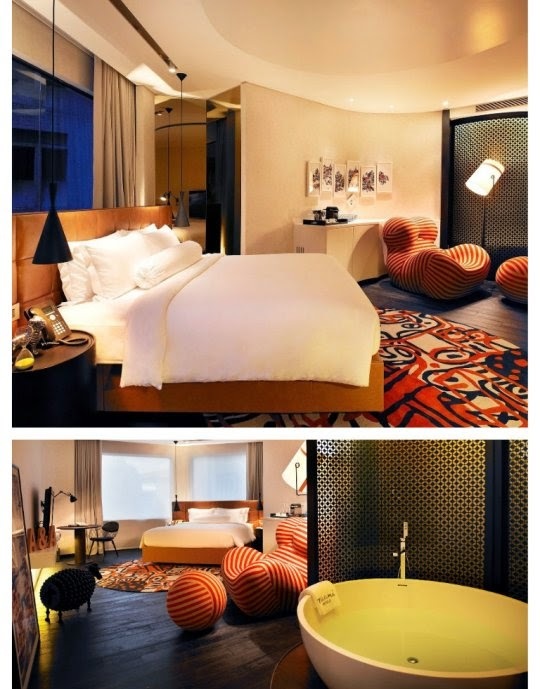 wow..this hotel is awesome~ totally different from what I thought at first. The magic panel is my opinion is the most awesome feature in the hotel. Such a beautiful hotel. .didn't know the rooms are so beautifully decorated n with such good service. Jonathan Happy belated birthday! !! EH, now you can spread the words......... Heehee! Thanks, dear! Pepper, aiyoh! So paiseh. Lol! Stairway to Heaven looks super! Great recommendation! Jason, thanks for coming by & hope to see more of you here!